Georgia’s Own checking accounts come with a debit card, linked directly to your checking account for simple and secure purchases. You can use it to pay your bills and to shop at supermarkets, restaurants, gas stations, online—anywhere Visa Debit Cards are accepted. Your Georgia’s Own Visa Debit Card even works with Apple Pay, Samsung Pay, and Android Pay. Plus, it doubles as your ATM Card. With a Visa Debit Card, the purchase amount is automatically deducted from your checking account, so there’s no credit involved and no interest charged, and transactions appear on your checking account statement, so you can easily track your spending. Need to open a checking account? Sign up below. We’re committed to providing our members with the best products and services available. That’s why we offer chip-enabled debit cards. Chip cards feature an embedded microchip that provides additional protection from fraud and unauthorized use. For added security, when your magstripe-only ATM card expires, it will be reissued as a chip enabled debit card. In our ongoing efforts to protect you, our members, and make it even easier for you to receive and respond to suspicious activity, free* text alerts for debit cards is available. We encourage you to register for this feature as it will assist in minimizing losses and allow you to quickly confirm the validity of transactions. If you’d like to add this service, please contact us by phone (800.533.2062) or through our secure online banking message center with the request. *Georgia’s Own does not charge for this service, but refer to your cell phone plan carrier for any text plan charges. Since many ‘debit’ transactions not processed by Visa are not covered by Visa’s Zero Liability Policy, skip the PIN and instead sign for your debit card transaction for the peace of mind of knowing that you are protected from fraudulent charges to your card. How Do I Pay with a Visa Debit Card? Visa Debit Card transactions can be completed in a number of ways. If you sign a receipt or make a purchase on the Internet, by mail, or over the phone, you’ll always be protected by Visa’s Zero Liability policy. You can also pay by entering a personal identification number (PIN) – especially if you need to receive cash back with your transaction. With Visa Checkout, you can enjoy all the great things about your Georgia’s Own Visa card, plus a fast simple, secure way to buy online. This July 4th tradition takes place in our own backyard. Many people are confused about the difference between credit and debit when paying with their debit cards. The answer is simple. It has to do with the method of payment you prefer to use. Credit: When you choose the credit option with your debit card, it is processed through the Visa network and you will receive a signed receipt at the end of the transaction. Debit: When you choose the debit option with your debit card, it is processed through the ATM network. You will be asked to enter a personal identification number (PIN) to complete the transaction. The perfect option if you need cash back. Which should you select? 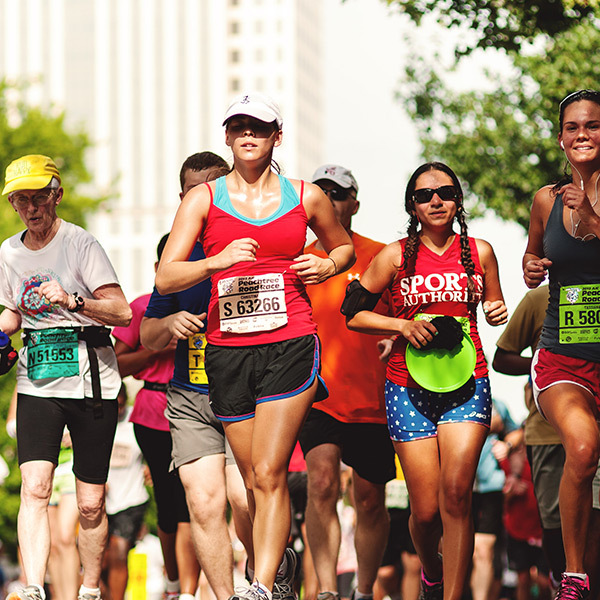 : Georgia’s Own Credit Union highly recommends that you select CREDIT whenever possible. With no PIN required for CREDIT transactions, you can reduce the possibility of someone learning your Personal Identification Number. Plus, you’ll be backed by Visa® proctection. • Visa provides reassurance that only you can use your Visa Debit Card online. Learn more about the benefits of Verified by Visa. • Keep your PIN private. Memorize it. Don’t write it down, and never tell it to anyone. • Skip the PIN option and instead sign for your transactions to take advantage of Visa’s Zero Liability Policy. • Always take sales receipts and carbon copies. They may contain valuable information a thief could use to make purchases on your account via mail, phone, or the Internet. • Record your transactions in your check register as soon as possible. Remember to include any Visa Debit Card fees that may apply. Then store your receipts safely in one place in case you need them later. • Review your statements carefully. If you suspect a mistake, call your financial institution immediately. 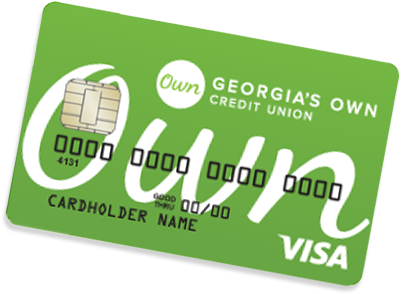 • If your card is lost or stolen, contact Georgia’s Own Credit Union. This reduces your liability if fraud losses occur. To Report a Lost or Stolen Visa Debit Card, please call 404-874-1166 or 1-800-533-2062 immediately. To activate your card or to set or change your PIN, please call 1-866-333-9337. For your protection, this call must be made from one of your phone numbers on record with Georgia’s Own.